Carpenter ants are problematic ants that can cause property damage as they build colonies in your property's walls. Carpenter ants are the largest ants found in Connecticut and are the most problematic for your home. While there are many other species of ants that can be found in Connecticut and invade your home, only carpenter ants actually destroy wood. These ants will build colonies in your walls, insulation, eaves, and crawlspaces. If you hear a crackling noise in your home and see ant frass (a substance that resembles sawdust but is really made of insect parts and chewed wood) then you probably have carpenter ants. However, there is no need to panic. Connecticut Pest Elimination, Inc has years of experience dealing with all manner of pests including carpenter ants. Our team of professionals can visit your home, analyze the problem, identify where the ants are located, and then choose a solution that will work best for your problem and home. We use only the latest and most effective solutions. Contact us today by clicking below or calling us at 1-844-882-0554. We offer free estimates to all our customers in Stamford, Norwalk, Danbury, New Haven, and the surrounding areas in Connecticut! Carpenter ants tend to be tan, black, or red but occasionally other Carpenter Ant species are found with different colors including reddish-brown or yellow. They vary in size from 1/4″ to 7/16″ and have a pinched waist between the thorax and the abdomen. They live in social colonies that may contain 2,000-3,000 workers. Carpenter ants may establish nests in a number of different locations. Carpenter ants actually construct tow different kinds of nests and it is important to realize that these locations can be either inside or outside the structure. 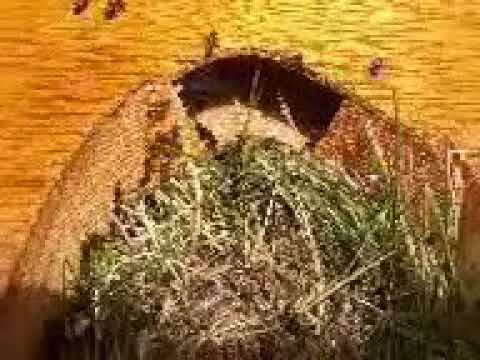 Parent colonies contain a mature contain egg-laying queen and a brood of 2000 or more worker ants. Satellite colonies may have a large number of worker ants but have no queen, eggs or larvae. Carpenter ants have two types of colonies and the ants you see could be coming from either type of colony. The carpenter ants inside a home may have originated from the parent colony (where the queen lives) or from one or more satellite nests hidden behind a wall in the kitchen or bathroom, or perhaps even from wood dampened by a roof leak in the attic. Alternatively, ants may be coming from the parent nest outside, possibly located in a tree stump, landscaped timber, or a woodpile. Although carpenter ants do not eat wood, they do excavate galleries to provide shelter. As a colony's size increases the galleries can become extensive enough to cause structural damage, usually in a concentrated location. The key to prevention is to keep the wood isolated from the ground, keeping wooden parts of the building well above ground level. When you contact Connecticut Pest Elimination, Inc one of our carpenter ant extermination pros will carefully inspect your property to find all the nests. They'll make sure to not miss any of the satellite nests and won't become so focused on a satellite nest that they ignore the parent nest. Depending on where we find them, and the general structure of your home, we'll customize our treatments to match. We'll also establish a protective barrier afterward to make sure that the problem doesn't simply recur. Have you seen ants in your home, heard crackling in the walls, or seen ant frass? Don't wait for the colony to grow and become even harder to eliminate. Instead, call the pros at Connecticut Pest Elimination, Inc at 1-844-882-0554 or contact us online immediately so we can help you resolve your ant problem. If ants reappear before the end of the year we'll re-treat the area for free and we are proud to serve Stratford, Fairfield, Greenwich, West Hartford, Hamden, Meriden, Orange, and nearby with a variety of pest control services and offer free estimates on all our services! © 2019 Connecticut Pest Elimination, Inc.